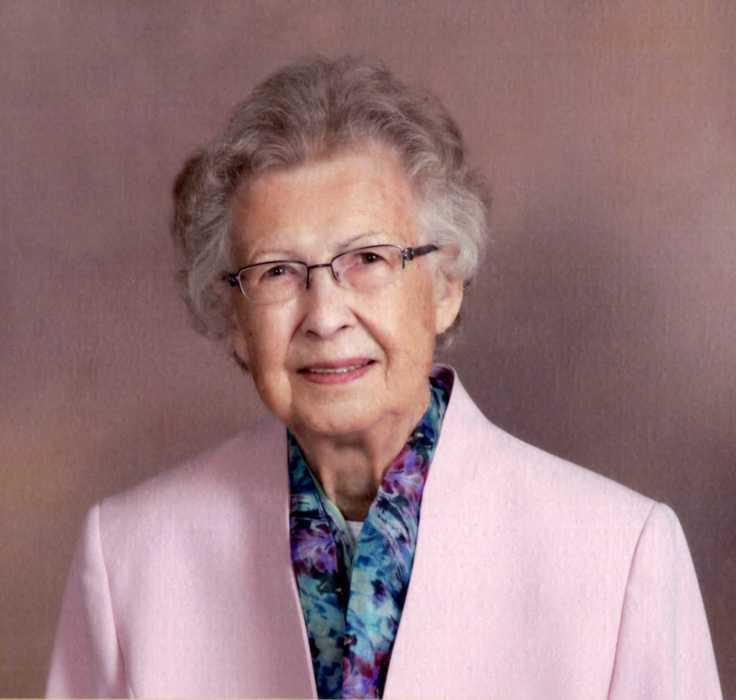 Edith Marie Skulina, 91, of Bellevue passed away peacefully on Wednesday, November 14, 2018 at The Willows at Bellevue. She was born August 5, 1927 in North Auburn, Ohio the daughter of William and Rose (Kehres) Cramer. Edith married Frederic Skulina on Oct. 15, 1949 at the Sorrowful Mother Shrine; he preceded her in death in 2012. Edith worked as a bookkeeper for Danklefsen Sales retiring after 25 years. She was a member of Immaculate Conception Church and the Four County Young-At-Heart in Bellevue. She enjoyed playing cards, especially Euchre and Pinochle; reading, attending the Kehres family reunions and talking about family history. She cherished the 24 winters with her husband in Fort Myers, FL and spending time with her family. She is survived by her two daughters: Judy (Doug) Picciuto of Tiffin and Mary (Greg Hochradel) Skulina of Milan, MI; two sons: Fred (Sue) Skulina Jr. of Port Clinton, Michael (Beth) Skulina of Rawson, Ohio; grandchildren: Lee Ann (Sean) Picciuto-Fursdon, Dan Picciuto, Jim (Ashleigh) Picciuto, Andrew Hochradel, Timothy Hochradel, Bob (Maria) Skulina, Kate (Kurt) Knight, Clayton Skulina, and Carson Skulina; 7 great grandchildren; numerous nieces, nephews, and godchildren, especially her beloved Texas nephews and niece; and sister-in law, Betty (Joseph) Skulina of Parma. In addition to her parents and husband, she was preceded in death by her sister, Lucille Schumacher. Friends will be received on Sunday, November 18, 2018 from 2-6 p.m. at Foos & Foos Funeral Service, 151 Yorkshire Place, Bellevue where the Rosary will begin at 6 p.m. A funeral Mass will begin on Monday at 11 a.m. at Immaculate Conception Church, 231 E. Center St., Bellevue. Burial will follow at Bellevue Catholic Cemetery. The family would like to express their sincere gratitude to the nurses of The Willows at Bellevue and Stein Hospice for their excellent care. Memorials can be made to Immaculate Conception Church, Four County Young-At-Heart, or donor’s choice. Important Copyright Information: © 2018, Foos and Foos Funeral Service. All Rights Reserved. Information found in this obituary, website or any other communication is copyrighted. This includes all information, descriptions and obituary information. Permission to repost on commercial websites is not automatically granted. . You may not re-publish, transmit, display, reproduce, resell, license, or sell products or services obtained from this information. You must request permission to use any of the information for any purpose other than your private personal use. We reserve all rights of the DMCA of 1998.